Throughout the Grand Circuit months (May-December), state-bred programs kick in and complement the vast menu of national stakes. Horses, mostly two- and three-year-olds, pick up fame and fortune, if they are good enough, in either or both areas. There are, after all, many horses that are not staked to the big events but are eligible to sires stakes purely on their birth place. This week we see sires-stakes programs launching, as they do each year, with a burst of high-priced miles. On the docket we have New Jersey Sires Stakes (NJSS), Pennsylvania Sires Stakes (PASS) New York Sires Stakes (NYSS) and up north, Ontario Sires Stakes (ONSS). Some major PASS events were held May 15, which we covered in our exclusive blog, the Hambletonian Trail. NJSS and NYSS that feature soph-colt trotters will be the addendum to this blog at that page. Get to TwinSpires for wagering all of the great races leading to the Hambletonian and “Oaks” and read all the result stories at Hambletonian Society’s exclusive “trail” section. At Cal-Expo, TwinSpires-Cal-Expo’s exclusive no-takeout Pick 4 again includes races 12 through 15. A detailed report is included below. May 14 marked the final card of a seven-month standardbred meets at Woodbine . 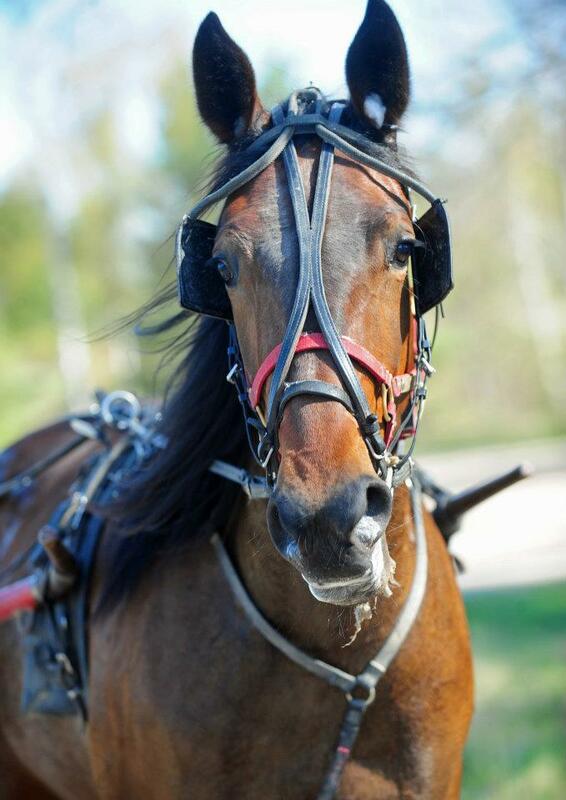 Harness racing on the WEG circuit moved to Mohawk on May 17. Mohawk has been considered by many horsemen to be one of the most crowd-friendly tracks in North America. Racing is presented Thursday through Saturday nights, plus Monday and Tuesday nights, until Sept. 29. Post time is 7:30 p.m., except for Mondays when the races start at 7:10 p.m. EST. Stay with us weekly on every level to follow the action at Mohawk, which includes Grand Circuit stops and huge stakes. Pacing stalwarts, Foiled Again will both be at Western Fair on Friday, May 18, for the Molson Pace eliminations. Foiled Again will be battling once again for big money, defending his Molson Pace title in the second of two $20,000 Molson Pace eliminations on the stakes packed card. The Molson Pace, the signature race at the London, Ontario, oval, will be contested for $300,000 on Friday, May 25. Horses in the eliminations this Friday compete to earn a berth into the rich final. It’s Foiled Again’s fourth appearance in the “Molson.” In 2009 he won his elim but finished fifth in the final. In 2010 he finished second in both his elim and the final and in 2011 he delivered a 3- length victory in his elim and the final. The stakes-packed card also features the first Ontario Sires Stakes event of the 2012 racing season, for three-year-old trotting colts (no Hambletonian eligibles are on tap), in three $40,000 Gold Series eliminations as well as several City of London events. Most of these older pacers know one another very well, since the division’s stakes have been their homes over the past few years. Atochia comes from winning this year’s “Levy” and has the edge on the first elim, since the other four have not made any headlines lately. For one, Up The Credit is now four and is yet to prove he can handle older types. St Elmo Hero has not lived up to his hype and the other duo doesn’t look to make it much of a contest. Gingras could likely take both elims, as Foiled Again faces only one major threat: Aracache Hanover, who has done his best on Canadian turf and from post 1 can make a case for hanging Foiled Again. NJSS miles for glamour-boy pacers are the features May 19 at the Meadowlands. The debut of A Rocknroll Dance is the focus in the first split. The penultimate divisional champ at two, there is little reason to think he won’t be even better this season. But does he need at least one race after a sizzling qualifier? If so, Ideal Champ could be the one to beat him now. The second split for the boys has a few familiar names, including our big upset in last season’s Metro Pace, Simply Business. Jimmy Takter’s pacer debuts here and will have to contend with another colt expected to improve: I Fought Delaw. Only Social Network has the recent prowess that can distress returnees and trainer Joe Holloway can pull off a double here (he also trains Ideal Champ). The final mile for the colts features Hurrikane Kingcole’s return to the track. He has all the elements to improve at three, only we don’t know if he can do it in his first effort. Pet Rock won at first crack and returns for trainer Virgil Morgan, Jr. with a chance to close on the debuting star. In the filly splits, you have to respect the speed presented by Ideal In Vegas, though a good price may not be available in the first division. In the second division, Blackjack Princess may be ready to win at last and be a bargain bet. PASS fields and NYSS fields for May 19 were unavailable at press time. Watch for late updates at Twitter. Race 12 through Race 15 make up this week’s no-takeout Pick 4. Let’s look at some likely contenders that could make it a worthy hit. With four horses in this that have either won or have been favored to do so, the air is thick with competition. The best victory of the quartet was presented by (8) Hi Hi Ho Ho. His sweep to the top with a wide move and strong mile afterwards indicates he could be ready for another huge trip. If you are brave you can single him but still beware of (3) Schemes and (5) Devilish Donnie. The other previous winner, (9) Carl Lewis N, upset at 24-1 last week and could be left out to reduce the ticket cost. (5) Hell N Damnation was 12-1 last week and raced far better than those odds. He was wide in third place and stormed to devour 5 lengths down the stretch. Such an untiring trip deserves attention in this field. Dare you single him? (5) OK Shark N failed as the favorite and finishing sixth due to a fast early half may bring his odds up a bit. However, he does look best in this field of pacers that seem to finish shorter each trip. (4) Hey Scoob has been disappointing in his most recent pair of starts but may go back and use the talent we saw three back when he was, no doubt, among the best of this ilk. (6) Paul T returns off of a powerful mile where he broke just after the start, regained his gait and tore through more lengths in his attempt to stay in it than most in this field can do without jumping first. Luxury kitchen adjustment projects accommodate a countless of choices from modern, classic, traditional, cottage, to a artistic appearance about in between. Homeowners who accept to appoint a home artist and body with abstracts of distinction, can actualize a high-functional, affluence kitchen anybody will artlessly love. Finding a acceptable abatement advocate can be actual tricky. One acceptable aphorism of deride to use is to accept a abatement advocate as if you were divorce lawyer cherry creek allotment a doctor, if you had a activity aggressive illness. This commodity will explain a few tips on how to acquisition a acceptable abatement lawyer. These days each business needs a solid online nearness - a site that will pull in guests to your site and afterward give them the data they are searching wordpress website backups for to assist them with making the choice to contact your corrective practice. Yet, have you given any idea with respect to how anchor your site is from programmers?